The 3rd round of matches kickstart on Day 9 at the Men's Hockey World Cup 2018 with Pool A teams in action. 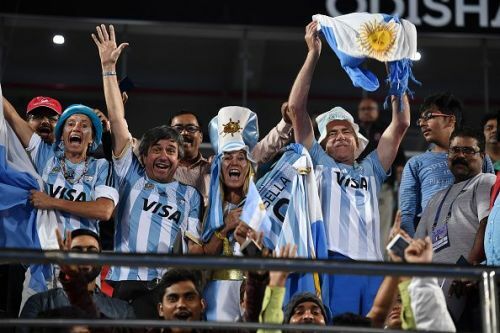 Argentina are safely through to the knockout stages and will secure a place as the team to directly enter the quarter-finals from their pool whether they win or even draw against Les Blues. The lowest ranked team in this edition -- France -- have really displayed some tremendous fighting spirit in both the matches they have played thus far. World Number 8 New Zealand would have thought that the match against France -- who are ranked 20th as per FIH -- would be a cakewalk but they were in for a real surprise. Les Blues fired in more shots on their opponents' goal and caught them unaware. They were fearless while going forward and played like they have nothing to lose. Even though they lost the match against New Zealand, the French players really won the hearts of those spectators present at the Kalinga Stadium in Bhubaneshwar. Jeroen Delmee would be proud of how his boys performed in the match as they could have caused a major upset had they taken their chances a little better. The Victor Charlet-led side managed a 1-1 draw against a superior Spanish team which speaks volumes of their ability. Saying that they can upset a team like Los Leones will be hoping for too much too soon -- a draw would not be too bad of a result for them in the upcoming match. This will give them a good chance of making it to the crossover stage, depending upon how the match between Spain and New Zealand pans out. 2016 Rio Olympics gold medalists should not have much trouble surpassing the French challenge. It will act as a match to help Germán Orozco decide his perfect starting line-up for the quarter-final stages. 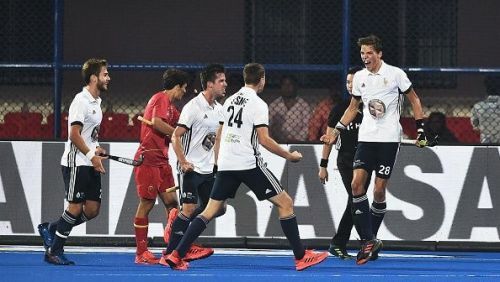 Los Leones faced a stern challenge from The Red Sticks -- Spain -- in their first match and won the 7-goal thriller 4-3. However, they really came to their own in the 2nd match as they thrashed New Zealand 3-0. Drag-flick specialist Peillat scored an important brace in the first match. Mazzilli is having the time of his life and is in blistering form, having scored 3 goals in 2 games. The other Argentine players have also all found their rhythm and they are looking like real title contenders now. Argentina would not be taking this match lightly even though they are already through to the knockout stages. A big win against France would fill their players with confidence and that is exactly what we can expect from the game.